Anita first started out in low voltage engineering and construction management and is now a local entrepreneur working in laboratory testing and medical consulting. Anita first joined B.E. A S.H.E.R.O. to give back to the community by bringing awareness and support to young women all over the world. Exploitation comes in many different forms and Anita’s goal is to mentor young women in being able to understanding this idea so they can better protect themselves and grow into strong, powerful women. 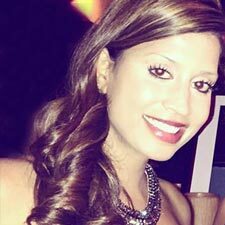 Originally from Long Island, NY, Anita has been giving back to the Las Vegas community for many years. Anita’s interest include health, fitness, nutrition, cooking, travelling and being nurturing to those around her. Anita’s super power is like Elektra, the superhero. Her powers as Elektra include having international influence and understanding of other cultures and customs. With both physical and mental strength, Anita is able to provide the necessary insights to better protect, serve and mentor young women.